Mr. 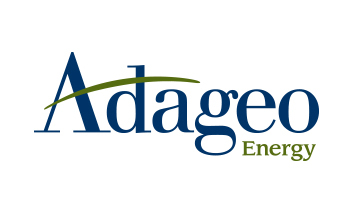 Petty is the Chief Operating Officer of Adageo Energy Partners LP, and Chief Operating Officer of Pacific Security Management, Inc., where he oversees the royalty management and investor relations operations of an energy fund with interests in over 14,000 oil and gas wells. From January, 2006 until September, 2009, Mr. Petty was Chief Financial Officer for Direct Capital Securities, Inc., a broker dealer firm in the financial investments arena specializing in direct private placement syndications. As their Financial & Operations Principal (FINOP), he successfully completed numerous annual audits of books and records by regulators from the Financial Industry Regulatory Authority (FINRA). Prior to 2006, Mr. Petty spent 20+ years in Enterprise Consulting Services. Having consulted with over 40 companies to improve operations, processes, and systems, Mr. Petty brings experience in operations management and accounting with a wide variety of businesses, such as Celestial Seasonings, PPG Industries, and Barr Laboratories. Mr. Petty attained his MBA degree with honors from Southern Methodist University, having completed his undergraduate work at Stephen F. Austin University with applied studies in Data Processing and Accounting. He has also achieved a Series 27 license with FINRA and a CPIM certification with the American Production and Inventory Control Society.